A natural supplement formulated as a nutritional aid to the digestive system in horses. 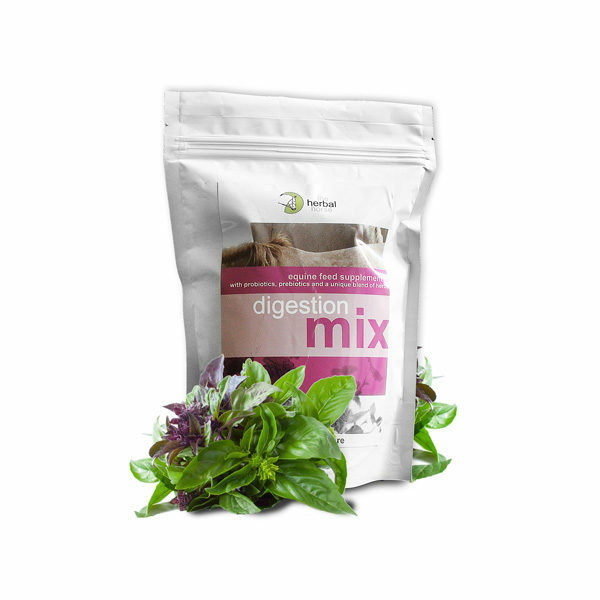 Contains prebiotics and a unique herb blend to support digestion. Perfect for when you get a new horse and they need to settle down with the new food and also a good boost every now and then to keep all the tummies in check. Worked well, horses enjoyed it! I put my older horse onto the Digestion Mix a few years ago after a few bouts of colic. The colics stopped, and the mare settled down overall. I suspect she might have had ulcers (they say about 80% of competition horses do) and this seemed to settle her tummy and make her a happier horse overall. We also found it useful on cribbiting horses…. it seemed to reduce their need to crib.